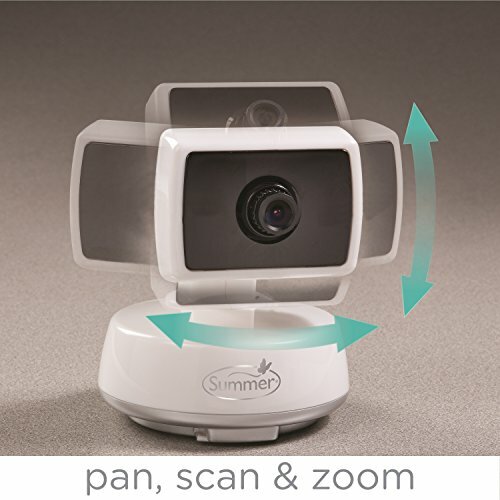 Monitoring baby with the Summer Infant Baby Touch Pan/Scan/Zoom Video Baby Monitor ensures parents peace of mind, day and night. 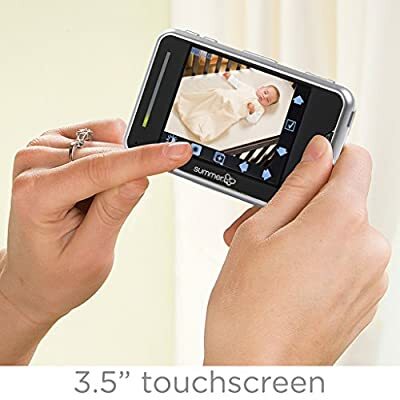 The 3.5-inch color LCD video features a touch screen interface that allows parents to remotely pan, scan, and zoom, talk to baby and more - at the touch of a finger. In addition, sound activated LED lights indicate the noise level coming from baby's nursery. A rechargeable battery and built-in belt-clip and kick-stand provide portability and added convenience, with a range up to 400-feet. The included camera features automatic black and white night vision enabling parents to clearly see baby in low-light and darkened rooms and additional cameras can be added (sold separately) to view up to 4 rooms or children at one time. 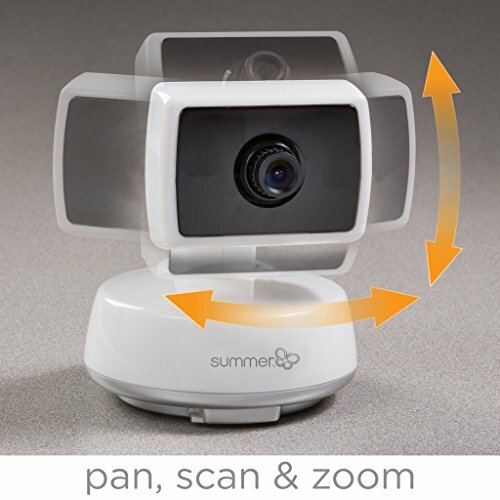 The Summer Infant Baby Touch Pan/Scan/Zoom Video Baby Monitor operates on 2.4GHz digital technology, ensuring parents a private and secure connection to baby. Please note, this monitor is not Wi-Fi enabled and cannot be used with digital devices such as smart phones, tablets, and laptops.